For nearly 38 years, the Environmental Law Institute published the National Wetlands Newsletter, which provided key information and analysis to people engaged in the protection and management of wetlands, watersheds, floodplains, and coastal resources. But due to economic constraints and increased challenges for maintaining print publications, ELI suspended the National Wetlands Newsletter following the May/June 2016 issue. Our archives of past issues is currently undergoing reconstruction. 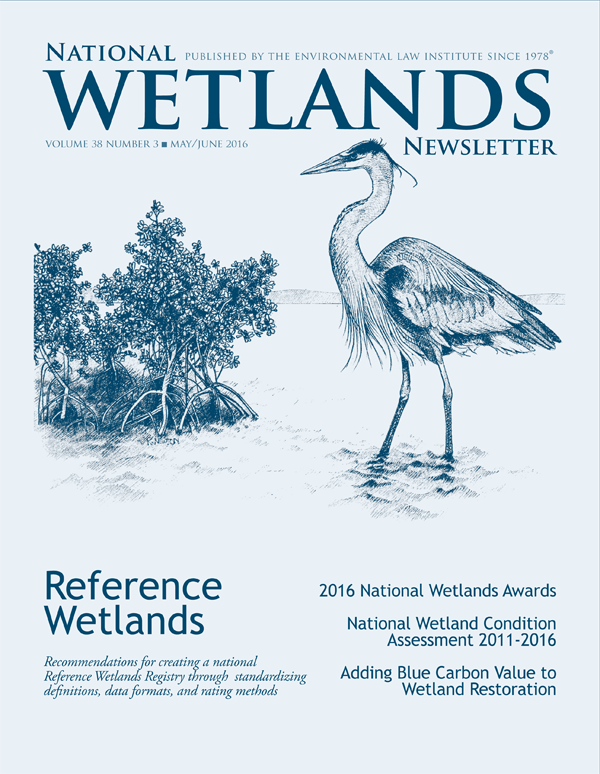 If you are looking for a particular article from the National Wetlands Newsletter, please contact orders@eli.org. A number of wetlands-related materials and resources are also available from ELI's Wetlands Program.